Don’t forget the outdoors of your home when getting ready this holiday season. 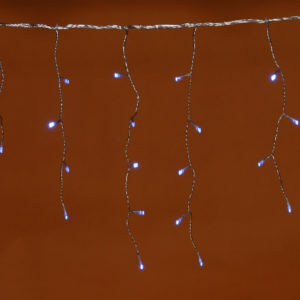 These Blue & White LED Icicles are an awesome way to bring some festive cheer to the roof-line or eaves of your home. The LED bulbs are energy-efficient so you won’t have to contend with inflated utility costs during the Christmas season. If you are wondering how much light these fantastic icicle Christmas Lights will bring to the home, how does 256 bulbs sound? 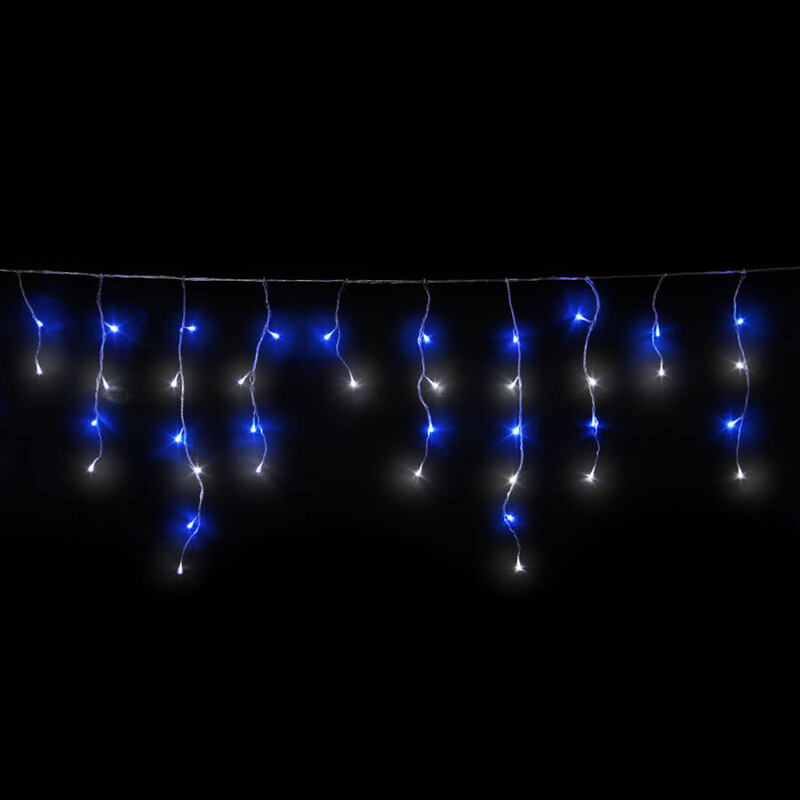 That’s right, and these bulbs are spread out over ten metres of clear wire so they will stretch and reach around windows, doors, and eaves of your home’s exterior. Use these lights inside for a cohesive look when paired with your Christmas tree and holiday decor. Friends and family will admire the warm, welcoming look that these Blue & White icicles give to your home this year!